Vacations are a nice time to relax and get away from everyday life. Don't let the cost keep you from traveling because there are many ways to save money no matter where your journey takes you. With the right planning, a bit of strategy and a touch of creativity, frugal travel can be as fun as it is affordable. Follow these tips for a memorable trip with a manageable price tag. Use sites like Skyscanner, Airfarewatchdog or Secret Flying to track the best deals for international flights. Sometimes there are roundtrip flights to countries in Europe or Latin America for as low as $300. If you’re flying domestic, we suggest Southwest Airlines and JetBlue. When booking flights, try to depart on a weekday like Tuesday or Thursday. Do your best to avoid the weekends, as these are the most popular times to fly and try to book tickets off season, when airfare and accomodations prices are lower. Avoid the bag check-in fee by packing light or by using airlines that offer to check-in your bag for free! Ditch the hotels and check out alternative sites that offer unique places to stay, like glamping.com and Canopy Under the Stars. Why? They’re more affordable, accessible, and offer a whole new experience for the price of a cheap hotel. If you're more accustomed to hotel accommodations book a stay at a bed-and-breakfast or try AirBnB for a more local experience. Stay somewhere a little bit further than the main city or attraction, too, as these places are usually cheaper and less in demand. Travel in groups rather than solo, so you can split costs between you and your friends. Pass on the guided tours and pave your own path by doing plenty of research on a place before you arrive. We recommend using sites like Viator, Rough Guides, BootsNAll and Smarter Travel, which are independently owned sites that offer a more personal and off the beaten path perspective. They won’t encourage you to spend money on tours that don’t show you the true city. Take advantage of everything that’s free. Each country, city and village offer tons of things to do without costing a cent. 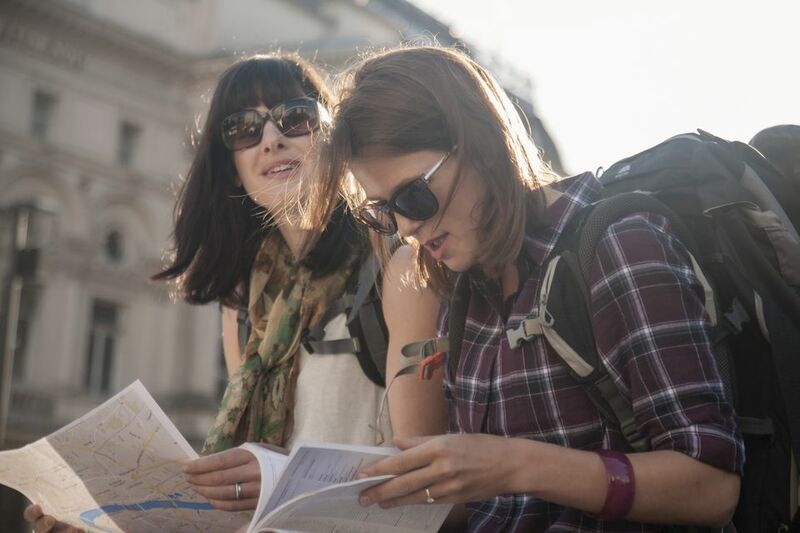 Walking is the best activity anyone can do, and most cities do offer free walking tours for visitors, which is definitely worth doing on your first day in a place. Additionally, in many places around the world, there are days when all museums in the city are free, so be sure to research those dates when planning your trip. Public transportation is the way to get around if you're looking to save money. Hands down. Take the subway, train or bus when you're traveling, and avoid taking expensive taxis or Ubers. Many places have sophisticated public transit systems like Manhattan, London, Paris and Berlin. If you take a cab, be sure to split the cab fare with someone else, and make sure you don’t get taken advantage of just because you’re a foreigner. Try renting bicycles if that's an option, as that'll help you to see more places without spending too much money. If where you're traveling requires a car, or you simply prefer driving, there are ways to a save on car rentals and tips to save gas while traveling. Food costs can be especially hard to control while traveling because you’re eating out more and may not have access to a kitchen. To keep food costs in check, plan and organize your meals in advance for every day you’re traveling in advance. This may sound lame, but it works. List down the top restaurants in the city, how much you'd need to spend there, and then figure out why you want to eat there and whether it would be worth it. Eat a large breakfast, and if possible, sneak an extra bread roll into your bag to count for lunch. Hostels can be great places for stocking up on food if they offer a free buffet breakfast, and if you time your meals correctly you may be able to skip lunch or at least have a smaller lunch and save some money. To really save some money try to buy groceries at a neighborhood store and cook in your accommodation's kitchen to save money (pasta is a great way to eat on the cheap!) and pack snacks so you don’t end up spontaneously buying food when you’re hungry. Shopping can be one of the funnest, and most expensive, parts of a trip. When you're hitting the shops, only buy items that you know can’t be found back home, unless it's an absolute emergency. Scout out what the price should be online before you buy. In hot tourist spots, chances are stores all carry the same thing, so check out a few stores before you make your final purchase. Don’t be afraid to haggle, as it’s never a bad thing. If all else fails, ask yourself if you REALLY want it, and the answer may just be no. Carry enough cash so you don’t have to continuously withdraw from ATM machines — those fees can add up. Either arrive with a lot of cash on had that you can then convert to the local currency or try to withdraw the maximum amount possible at an ATM to reduce fees. Befriend your hosts and the locals around you. You won't only be making new friends, they’ll also give you insider tips for budget activities that you wouldn’t have known about otherwise. Purchase all your personal products at home rather than buying them at convenient stores, which are much more expensive. Opt for solid shampoo, conditioner, and bars of soap for toiletries, as they'll last several months and free up more space in your bag. Lastly, be as prepared as possible for any eventuality so you don’t have last minute expenses.